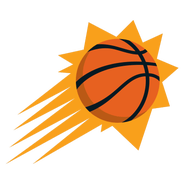 Okobo posted 15 points (6-11 FG, 2-3 3Pt, 1-1 FT), two assists, one rebound and one block across 25 minutes in the Suns' 118-97 loss to the Jazz on Wednesday. Okobo drew another start and saw extended opportunity when Devin Booker was forced out of the game after only logging eight minutes due to an ankle issue. The 21-year-old's scoring tally was his highest since Nov. 28, with the elevated usage he saw as a result of Booker's exit and Deandre Ayton's (ankle) absence playing a significant role in his spike. With both players potentially sidelined for a favorable matchup against the Pelicans on Friday, Okobo could make for a sneaky play in daily leagues in particular. Okobo is starting Monday's game against the Cavaliers. Okobo will join the starting lineup after scoring just three points in three of his previous four contests. De'Anthony Melton will come off the bench as a result.